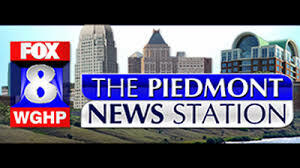 For the second time in four days, I was invited on to the top-rated news program in the Triad to discuss history — the fist-ever address to a Joint Session of Congress by a pope. This one was extraordinary. My commentary with Neil McNeill is here. In his 40-minute address, Pope Francis demonstrated first and foremost his admiration not only for the United States (“land of the free, home of the brave,”) but also of America’s great promise as a land of hope and dreams. He delivered his speech in English with grace and humility by making every aggressive point he intended on immigration, climate change, the death penalty, financial reform, marriage, terrorism and respect for the poor. It was brilliant. This entry was posted in Breaking News on September 24, 2015 by Justin Catanoso. My friend and news anchor Neill McNeill at WGHP Fox 8, the highest-rated TV news program in the Triad, called early Monday to see if I would come on the program in the early evening. Why? Pope Francis‘ first-ever visit to the U.S., which is getting wall-to-wall coverage. Three minutes flew by, but we covered some ground in this segment, including a bit about my Peru reporting. I’ll be back on Thursday to discuss the pope’s speech to Congress. This entry was posted in Breaking News and tagged Congress, Cuba, encyclical, Fox 8, Justin Catanoso, Neill McNeill, Peru, Pope Francis, WGHP on September 18, 2015 by Justin Catanoso. 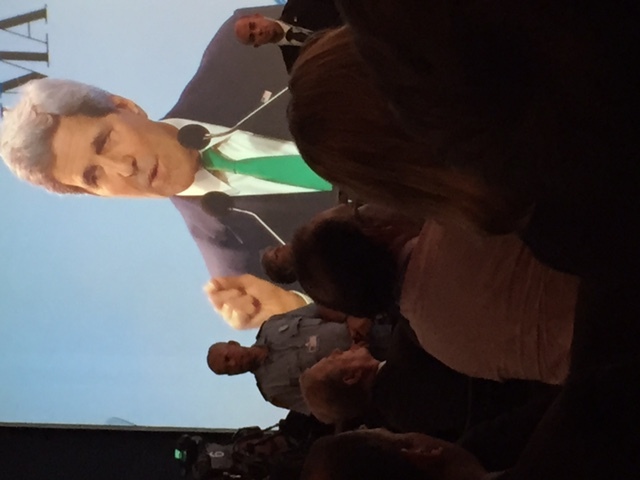 LIMA, Peru — In a clear message to the world that the United States, at least in the form of the Obama Administration, intends to lead prominently in the battle against climate change, Secretary of State John Kerry arrived in Lima on Thursday (Dec. 11) to deliver a blistering assault on GOP climate deniers in a 32-minute speech to a packed press conference. I was just a few rows back and saw Al Gore‘s profile against the video screen with Kerry speaking. It made for a powerful image — two Americans who have been raising awareness about the dangers of greenhouse gas emissions for a generation. I snapped the photo with my iPhone. 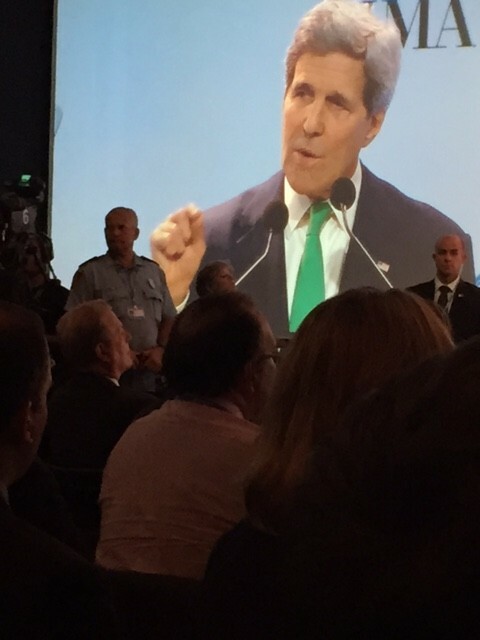 BusinessInsider published my story about Kerry’s speech, which includes a one-on-one interview I had with the Peruvian co-chair of the Green Climate Fund. Naturally, the GOP leadership in Washington intends to block Obama’s $3 billion pledge to the fund. The story contains a short video clip of the vice chair shot and edited by Michael Frierson, a UNC-Greensboro film professor. “Ask yourself, if Al Gore and Dr. Pachauri and Jim Hansen and the people who’ve been putting the science out there for years are wrong about this and we make these choices to do the things I’m talking about, what’s the worst thing that can happen to us for making these choices? Create a whole lot of new jobs. Kick our economies into gear. Have healthier people, reduce the cost of healthcare. Live up to our environmental responsibilities. Have a world that’s more secure because we have energy that isn’t dependent on one part of the world or another. That’s the worst that can happen to us. This entry was posted in Breaking News, Environment and tagged Climate change, climate deniers, Colombia, COP20, Green Climate Fund, John Kerry, Peru, Wake Forest CEES on December 12, 2014 by Justin Catanoso. I am working in Lima, Peru, this week (Dec. 6-12, 2014) with videographer Michael Frierson, a film professor at UNC-Greensboro. Here is a 2-minute clip from Dec. 9 press conference in with UN General Secretary Ban Ki-moon answering an important question on why he is optimistic about the current UN climate talks, the COP20. This entry was posted in Breaking News, Environment on December 10, 2014 by Justin Catanoso. 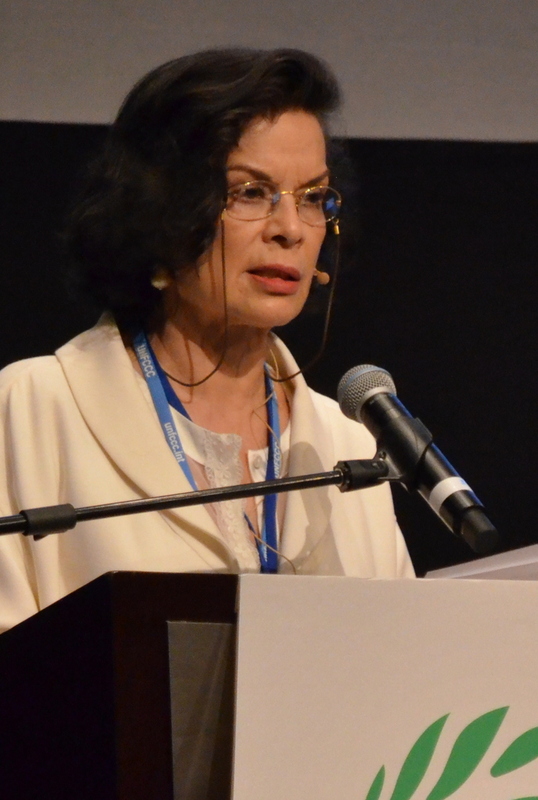 Bianca Jagger on Sunday morning, Dec. 7, in Lima, Peru, at an event connected to the UN climate talks. She is speaking to Heru Prasetyo, a climate change expert from Indonesia. Photo by Justin Catanoso. 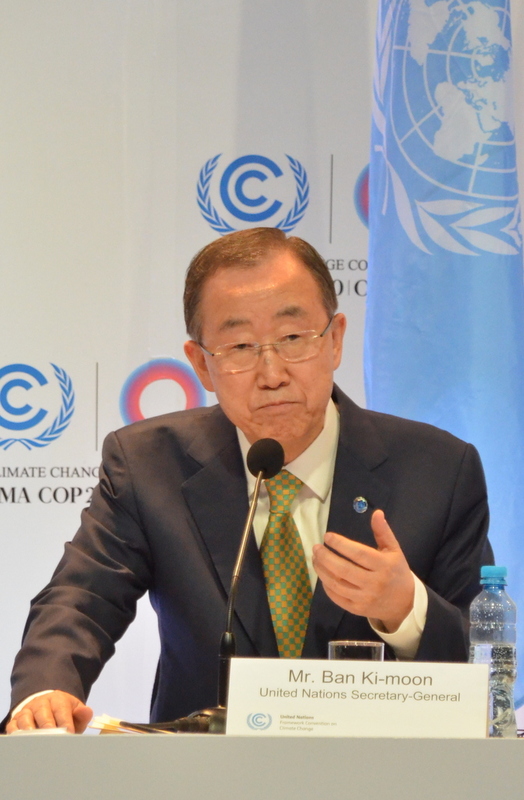 Note: I am in Lima, Peru, reporting on the COP20, the 20th annual United Nations climate negotiations. I arrived Dec. 6 and will remain through the end of the conference on Dec. 12. This is my first story. 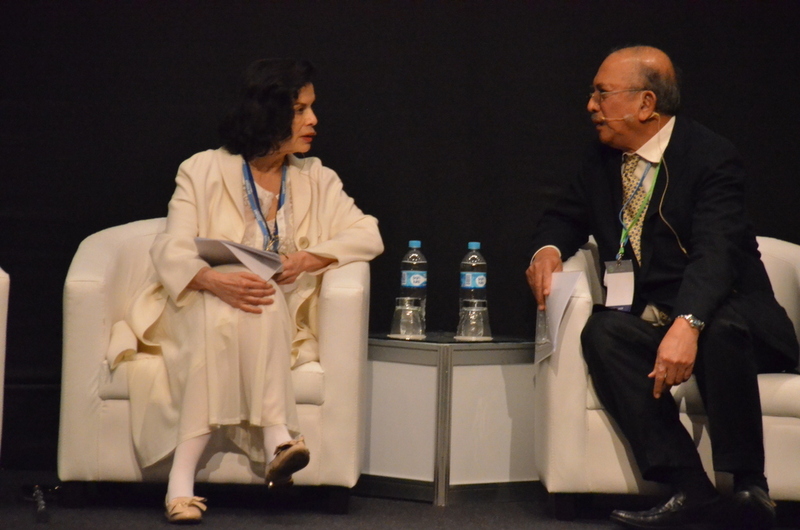 LIMA, Peru – Whatever her youthful reputation as the wife of a world-famous rock star and glittery jet setter, Bianca Jagger has committed much of the past 30 years of her life to advancing causes associated with human rights and environmental protection in the developing world. In another time, in another setting, Jagger may have been the star attraction at an event such as this with fans and paparazzi swarming to bask in her celebrity. 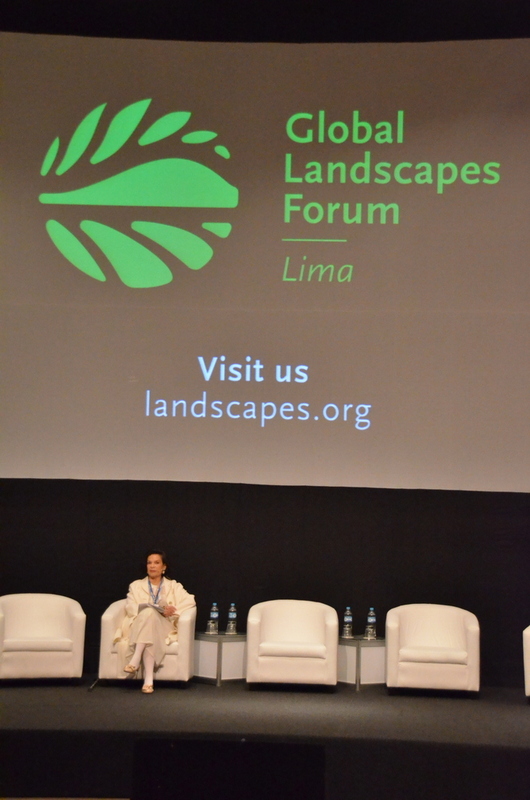 There was little of that in evidence Sunday morning during the Global Landscapes Forum held at the Westin Lima Hotel & Convention Center. WITH A CROWD of mostly influential scientists, top environmental activists and leading figures from the United Nations, World Bank and World Wildlife Fund, Jagger arrived without fanfare as the founder of the London-based Bianca Jagger Human Rights Foundation. She appeared elegantly striking just the same, dressed in a full-length white wool coat with sparkling flats and leaning on a Dalmatian-spotted cane. She greeted a small knot of well wishers and quietly took her place on stage. 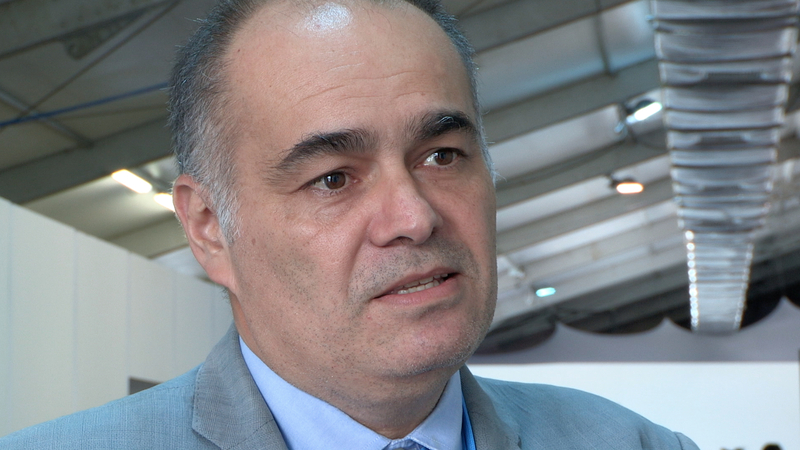 Three other panels were taking place at the same time; Jagger’s panel – “A new climate agenda? Moving forward with adaptation-based mitigation” – attracted about 100 people. Jagger noted that two years ago, she was appointed an ambassador to the Bonn Challenge, which aims to restore 150 million hectares (370 million acres) of degraded or deforested land around the world by 2020. The two-day landscape forum focused largely on the underappreciated role forests play globally in slowing the rate of climate change by absorbing tons and tons of greenhouse gas emissions annually through the process of photosynthesis. Millions of acres of tropical forests around the world (which do the most work in carbon sequestration) are destroyed for agriculture, mining and extraction. The clear-cutting is often far more than is necessary and at great costs to biodiversity and the indigenous peoples who make their homes and living in such forests. 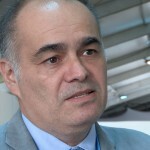 A PRIMARY GOAL of these 20th annual UN climate talks is for governmental and environmental leaders from 200 countries to draft a legally binding agreement that can be signed as a global treaty next year in Paris. Despite accords that came out of Kyoto (1997) and Copenhagen (2009), no treaty currently exists, even as the accumulating evidence of ongoing, manmade climate change continues to pile up. While progress appears to be halting after the first of two weeks of negotiations, the Lima draft is hoped to contain an array of strategies to slow the rate of greenhouse gas emissions largely through the reduction of burning fossil fuels for energy and transportation. Such reductions are seen as vital to hold global warming below 3.6 degrees Fahrenheit in the next 50 to 85 years. Beyond that point, scientists predict far worse extreme weather patterns than we now see, greater coastal erosion, more water shortages and increased food scarcity than is already cropping up around the globe. Reducing greenhouse gas emissions – the airborne layer of chemicals in the atmosphere responsible for global warming – can go beyond cutting back the extracting and burning of fossil fuels. 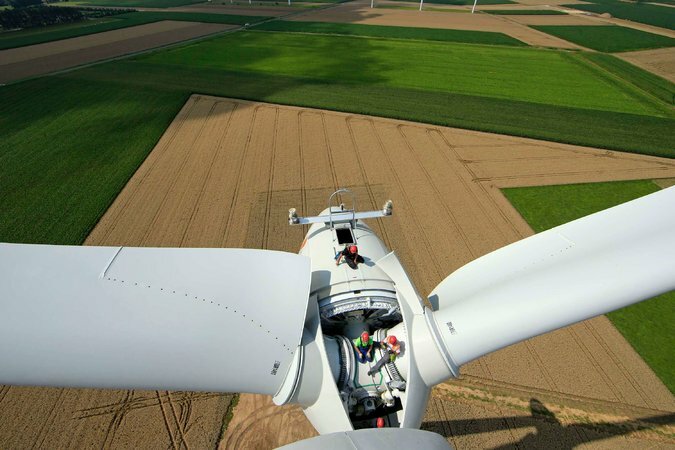 Other strategies include the expansion of alternative energy sources, greater fuel efficiencies in transportation, as well as similar efficiencies in home and building construction and lighting and appliances. Increasingly, as the landscape forum emphasized and as Jagger stressed in her talk, the massive preservation of existing tropical forests, and replanting ones that have been damaged and destroyed, can play a significant role — if not the most important role — in staving off catastrophic climate change. Jagger said the United States, along with countries such as Rwanda, Costa Rica, Colombia, the Democratic Republic of Congo and Guatemala have already committed to restore some 51 million hectares (126 million acres) of forests by 2020 as part of the Bonn Challenge. She lauded large-scale restoration efforts in China and Brazil, too. Justin Catanoso is a freelance journalist based in North Carolina and director of journalism at Wake Forest University. His environmental reporting is supported in part by the Wake Forest Center for Energy, Environment and Sustainability, and the Pulitzer Center on Crisis Reporting in Washington, D.C. This entry was posted in Breaking News, Environment and tagged adaptation, Bianca Jagger, Bianca Jagger Human Rights Foundation, CEES, Climate change, COP20, greenhouse gas emissions, Lima, Peru, Pulitzer Center, UN climate talks, Wake Forest, World Bank, World Wildlife Fund on December 7, 2014 by Justin Catanoso. Justin Gillis, the New York Times climate change reporter, breaks a story that sounds like science fiction, but is plausible with enough political will in countries such as the U.S., China and India — the world’s leading emitters of greenhouse gases that contribute to global warming. The story, published Sept. 16, is here, and it follows a trend of more optimistic, solution-based reporting on the issue of climate change. This entry was posted in Breaking News and tagged Climate change, global warming, Justin Gillis, renewable energy on September 16, 2014 by Justin Catanoso.